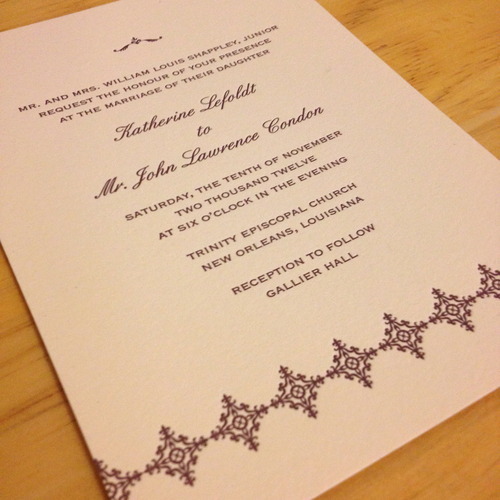 Trend spotting…we’ve printed quite a few invitations lately on ecru with aubergine ink. There is just something so classy about it! 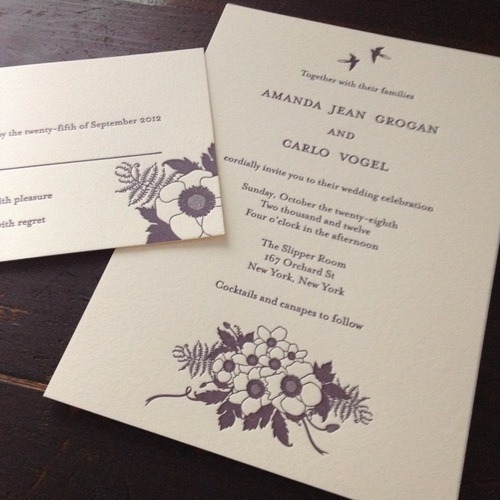 We’re so happy for all our new brides we just wanted to share a few new items hot off the press. Here’s a look at a fun New Orleans wedding for two of the sweetest people we’ve met yet! 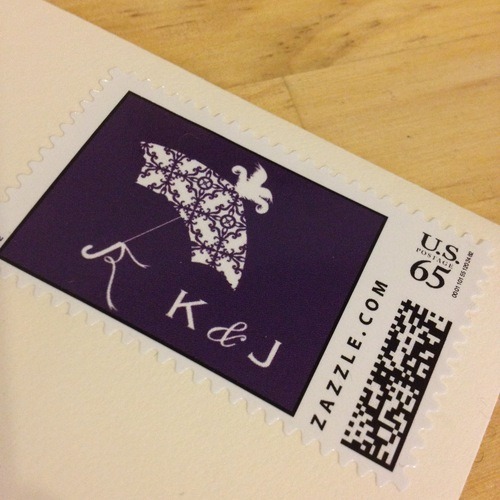 Can you see all the tiny Fleur-de-lys? 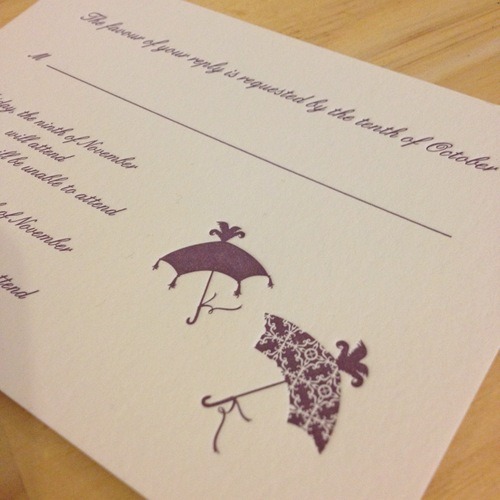 Loving the nod to the second line on the RSVP’s. 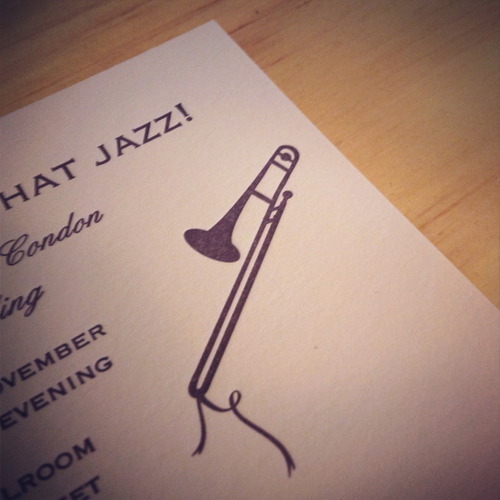 A jazz brunch for the night before. Also we never shared our Anemone suite, which, we think, came out gorgeous! This bride was so fun to work with, she had great style and great taste!